Ladies Hexham Checked Wool Blend Bias Skirt. 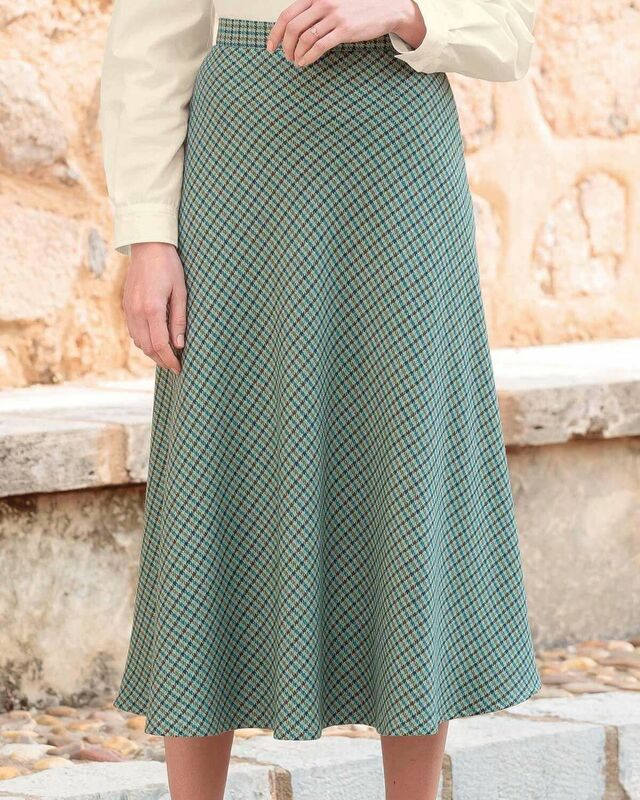 Machine wool wash.
Ladies flattering bias cut skirt, fully lined style with side zip and button fastening. Side back waist elastication for a comfortable fit. Classic check in tonal shades of dark teal, spruce and dove on a taupe base. Easycare wool blend fabric with excellent drape. 35% wool/35% cotton/15% polyester/10% acrylic/5% other fibres.A touch of warmth for those cooler days.